‘If all that survives of our fatally flawed civilization is the humble paper clip, archaeologists from some galaxy far, far away may give us more credit than we deserve,’ the design critic Owen Edwards argues in his book Elegant Solutions. ‘In our vast catalog of material innovation, no more perfectly conceived object exists.’1 The double oval shape of a paper clip is instantly recognisable. The way that it turns in on itself with its three hair-pin bends and rounded top and bottom – in France paper clips are known as ‘trombones’ – seems like the perfect marriage of form and function. 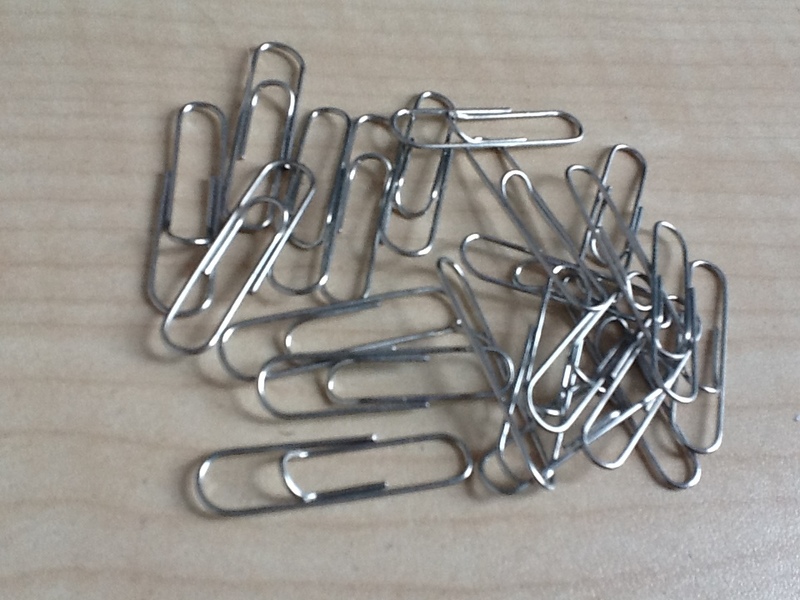 Cheap and easy to reproduce, paper clips have remained virtually the same for over a hundred years. Despite the odd variation – coloured paper clips with plastic coatings, square-edged rather than rounded ones, jumbo clips with corrugated finishes, avant-garde versions with a ‘v’ replacing the inner curve – the design of the classic paper clip remains unchallenged. At ‘Hidden Heroes: The Genius of Everyday Things’, an exhibition at the Science Museum in London held in 2011-12, it was celebrated as a ‘humble masterpiece’ and a ‘utilitarian and aesthetic marvel’.2 With the gentle, sliding action of a paper clip we bring paper, and some small element of our lives, under control. Yet the paper clip does not quite fit our conventional understandings of an iconic object. We like to think of such objects as being created by serendipitous or ‘Eureka’ or at least clearly defined moments, but the origins of the paper clip are fuzzy and confused. The rise of the modern office, with its increasing amounts of paper that needed to be fastened together with something more convenient and temporary than permanent binding, led to papers being attached together with strips of cloth, ribbon or string, or simply, if the sheaf of paper was thin enough, punctured with pins. But these improvised solutions were time-consuming and troublesome, or they left unattractive holes in the paper, often with an accompanying patina of rust. The mass-produced paper clip as we know it dates back to the late 19th century, when the first machines emerged that could bend and cut steel wire cheaply and cleanly. For the modern paper clip is based on the theory of elasticity or springiness, as elaborated as early as 1678 by the physicist Robert Hooke in his Lectures de potentia restitutiva. Hooke’s law, Ut tensio sic uis, or ‘as is the extension so is the force’, means that the extension of a spring, or the displacement from its original position, is directly proportional to the force applied. The spring-steel wire of a paper clip is easily bendable but also wants to revert to its original shape (provided it is not bent too dramatically), allowing it to glide over papers easily and to fasten them reasonably securely. In 1867 the American Samuel B. Fay patented a bent-wire ‘ticket fastener’ known as the ‘Cinch’ paper clip. This was meant mainly for attaching tickets to cloth, but the patent also mentioned that it could be used to fasten papers together. It was a flawed design because it did not have the final, securing loop that we see on the modern paper clip. Norwegians like to think that this modern paper clip was invented by Johan Vaaler, a clerk in a patent office in Kristiania (now Oslo). He applied for a patent for a paper clip in Germany in 1899, but his design also failed to have the inner loop inside the loop. This double-looped design now synonymous with the paper clip is actually ‘the Gem’, a name that can still occasionally be seen on some boxes of paper clips today. On 27 April 1899, William Middlebrook of Waterbury, Connecticut, filed a patent application for a ‘machine for making paper clips’. But Middlebrook did not patent the clip itself, suggesting that it may have predated the machine (not to mention Vaaler’s imperfect design of a different type of paper clip) but in one corner of the patent drawing is today’s common paper clip, called ‘the Gem’ because Middlebrook developed his machine for the Gem company in England. In his book Brutal Simplicity of Thought, the advertising executive Maurice Saatchi argues that this ‘last turn of the wire … wrote the Gem into history’.3 Not quite: within a year the office suppliers Cushman and Denison, who bought Middlebrook’s patent, made important amendments to the design by rounding the sharp points so they would be less likely to tear or leave marks on the papers. In folk memory, this untidy history of the paper clip has, unsurprisingly, been tidied up. The demonstrable fact that Johan Vaaler did not invent the modern paper clip has not prevented the paper clip becoming an iconic object and symbol of national ingenuity in his home country of Norway. In 1999, a hundred years after Vaaler applied for the German patent, the Norwegians issued a commemorative postage stamp, proudly depicting not Vaaler’s design but the Gem paper clip.4 A 23-foot paper clip monument, erected in honour of Vaaler outside a business college in Sandvika near Oslo in 1989, is also a model of the Gem. Encyclopaedias (particularly, of course, Norwegian ones) still often cite Vaaler as the inventor of the paper clip. In a spontaneous grassroots movement that developed under Nazi occupation during World War II, Norwegians demonstrated their patriotism and passive resistance by wearing paper clips on their lapels. The paper clip became ‘a visual memorial of people holding together in small ways’.5 It was the smallness and inconspicuousness of the paper clip that made the protest viable. Ivar Kraglund, Deputy Director of the Norway Resistance Museum, claims that Norwegians at first wore red hats and red vests to symbolise their opposition, but these articles of clothing were too noticeable.6 Hence they started wearing paper clips: a tiny, unobtrusive statement of non-compliance. The paper clip thus satisfies one literal definition of an icon in that it has inspired at least two significant monuments. And yet, in the Whitwell Holocaust memorial, it was the very worthlessness and interchangeability of the paper clip that made it both noteworthy and contentious as a symbol. A paper clip on its own has virtually no monetary or aesthetic value, which is why so many remain forever unused, absent-mindedly vacuumed up by cleaners or twisted into a useless elongated wire by bored office workers. The phrase ‘minister for paper clips’ is used in British political life to describe a job of no importance, usually in the Cabinet office. In July 2005, a 26-year-old Canadian, Kyle McDonald, announced that he was embarking on a quest to trade a single red paper clip for a house. Advertising this almost worthless piece of stationery on the internet, he succeeded in swapping it for a succession of bigger and better things until nine months and only ten trades later (including a doorknob, a party pack of beer and a snowmobile), he was the owner of a one-bedroom bungalow in Phoenix, Colorado. The paper clip endures, though, because it remains a useful everyday object. It owes its continuing ubiquity to the non-appearance of that perennial chimera, ‘the paperless office’. This phenomenon was supposed to arrive with the computer: The Times newspaper predicted in 1986 that ‘the partnership of word processor and e-mail almost eliminates the need for paper’.9 In fact, as Abigail J. Sellen and Richard H.R. Harper point out in their book The Myth of the Paperless Office, computers have actually increased the amount of paper circulated in offices.10 Whatever the advantages of virtuality, paper remains invaluable in the modern office for its portability, navigability and durability – and wherever papers gather together, they attract paper clips. Owen Edwards, Elegant Solutions: Quintessential Technology for a User-Friendly World (New York: Crown, 1989), n.p. 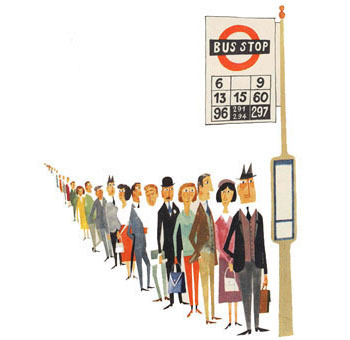 ; cited in Henry Petroski, The Evolution of Useful Things (London: Pavilion, 1993), 70. Exhibition held at the Science Museum, London, 9 November 2011-5 June 2012. See exhibition website, accessed 2 January 2012, http://www.hidden-heroes.net/. Maurice Saatchi, Brutal Simplicity of Thought: How it Changed the World (London: Ebury Press, 2011), 31. Lars Roede, “Whose paper clip?”, Times Literary Supplement, 25 June 1999, 19. Ben Macintyre, The Last Word: Tales from the Tip of the Mother Tongue (London, Bloomsbury, 2010), 6. “Days of remembrance: days of equality and solidarity, May 1-8, 2011”, accessed 2 January 2012, http://www.paperclipcampaign.com/why.asp. Paper Clips (dir. Elliot Berlin and Joe Fab, 2004). Marc Gellman, “Paper boats”, Newsweek, 10 August 2005, cited in Daniel H. Magilow, “Counting to Six Million: Collecting Projects and Holocaust Memorialization”, Jewish Social Studies, new series, 14, 1 (Fall 2007): 29. “Computer horizons: at home with the cabinet secrets,” The Times, January 14, 1986. Abigail J. Sellen and Richard H.R. Harper, The Myth of the Paperless Office (Cambridge, MA: MIT Press, 2002), 13-14. Petroski, The Evolution of Useful Things, 75.